Dublin Airport is located 17 kilometres north of the city centre and has direct flights from several US and many European cities. Transport options from the airport are bus, taxi or car. There is no train connection from the airport. For a list of all airlines that fly into and out of Dublin, please visit www.daa.ie. For travelling to the city center, we would recommend the Aircoach, an express coach service to the city centre and south Dublin that costs €7. 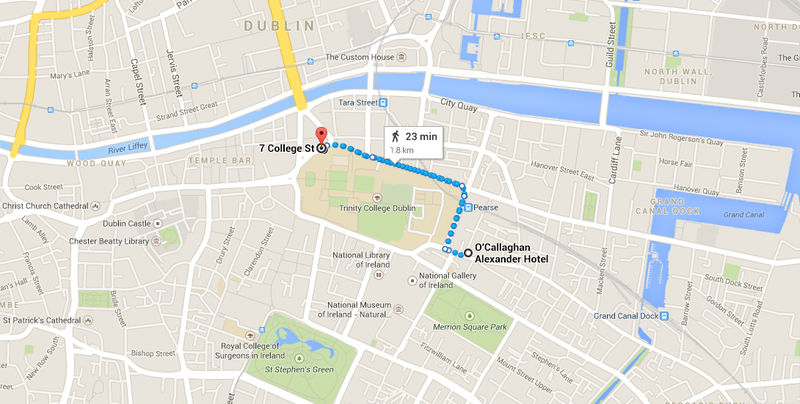 It stops right outside Trinity College and close to all of the hotels mentioned here. The coaches leave every 15 minutes and cost €7. Taxis are located outside the Arrivals Building. Trip time to the city centre is approximately 25 minutes and the fare is about €30. The COSN conference will be hosted at the O'Callaghan Alexander Hotel in the heart of Dublin city centre, opposite Trinity College Dublin. Special rates have been negotiated with some hotels close to the venue. However, there are many other hotels, guesthouses, bed and breakfasts and hostels in the city centre region close to the conference venue, with various price ranges from less than 100 euro per night. 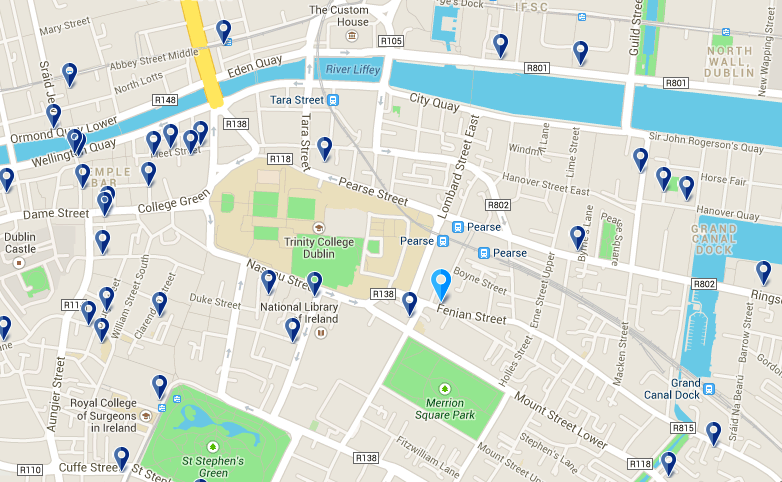 For instance booking.com lists over 100 properties in the Dublin region. The map below shows the location of a number of these properties, all within walking distance of the conference venue. Rates guaranteed up to 6 weeks prior the event. To book one of the rooms on hold, the best way is to call 00-353-1-607-3900 and mention the COSN'14 conference. €180.00 per single room, per night, including Super buffet breakfast, WiFi access in the room and VAT. €190.00 per double room, per night, including Super buffet breakfast, WiFi access in the room and VAT. Book your room by selecting "more option" in the reservation window at the top right corner and use the COSN reservation code. Cancellation Policy for Individual reservations is 14 Days prior to arrival.